Look picture perfect in this Splash dress K192 for your social occasion. This style is fashion perfection, featuring a fitted halter crop top with stunning bead work. 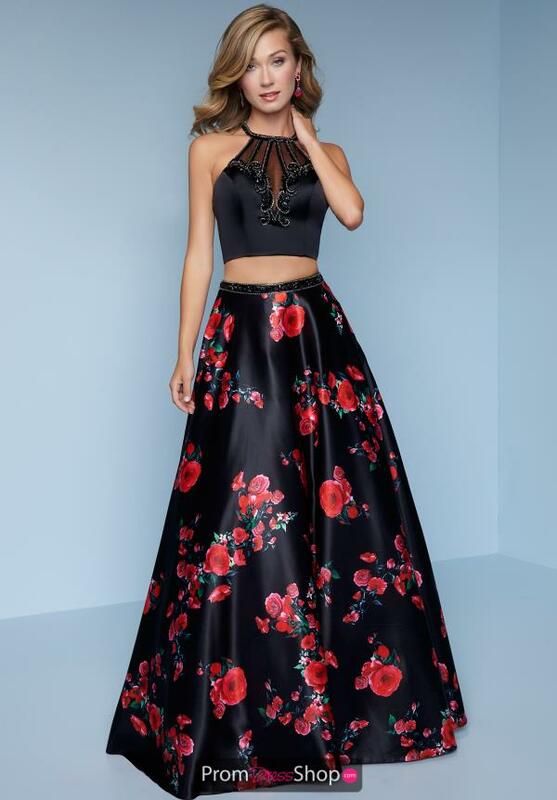 A beaded waistband begins the lovely a line skirt, showing off vivid color and design in the floral print, while flowing out effortlessly for a beautiful finish.